Sometimes experiential marketing isn’t all black and white. While we preach that successful experiential marketing campaigns add multiple senses to fully immerse participants, some industries (notably restaurants) are taking a wildly different approach. The popular trend of blind dining or “dining in the dark” certainly taps a lot of aspects of experiential marketing—but instead of including as many senses as possible, it’s all about restricting one vital sense: sight. 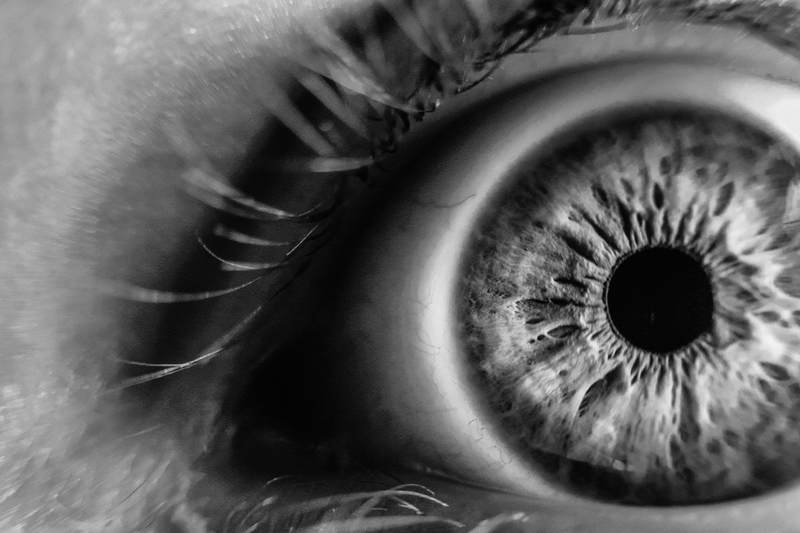 Sight has long been a staple in marketing. It’s used in almost every type of campaign except for mediums like radio or Spotify. However, it’s also well known that when you remove one sense, all the others are heightened. That’s what restaurants who offer these types of experiences are banking on. When you can’t see your food or take in the ambiance, what are you left with? A heightened sense of taste, smell, touch, and hearing. It also removes some awkward barriers of the fine dining experience. You don’t have to worry that you’re using the right fork, wonder if you have broccoli stuck in your teeth, or try to catch the eye of the waiter. You can fully immerse yourself in your meal. If you do have a dining companion, you’re left with talking as the only form of communication. What Can Dining in the Dark Teach Us? One of the first restaurants to try this was Blindekuh (the Blind Cow) in Zurich in 1999. Another earlier adopter was Axel Rudolph, restauranteur and psychologist. Rudolph wanted to understand more about how the blind use their other senses. Restaurants quickly figured out that bite-sized pieces of food were best. Bones in meats were ditched. The presentation of the food was drastically altered for functionality, since aesthetics no longer mattered. More complex flavors faded away, because it was discovered to be overwhelming and confusing. It turns out diners rely quite a bit on visual cues to figure out what they’re eating. A full menu was ditched (also overwhelming) and most restaurants offer a simple type of prix fixe option. In some cases, a “surprise” option is available. Many restaurants have also decided not to describe the food or its preparation. The goal was to not influence the diner’s experience and let them discover as they nibbled. Some were surprised by the dinner conversation that cropped up while dining in the dark. It might seem like darkness leads to intimacy, but that wasn’t the case. Most conversation was kept light and focused on the experience itself (like not being able to find a spoon). Diners seemed cautious. They didn’t know who might be eavesdropping, and they couldn’t tell if their companion was paying attention. It’s very possible the other person could have their mouth full. Without visual cues, people became awkward and shy. However, dining in the dark hearkens back to the “experience economy” as described in 1974 by Philip Kotler. People are attracted to experiences more so than services and products. Specifically, multi-sensory experiences. Kotler’s theory was popularized in the 1990s by Pine and Gilmore, a pair of researchers who urged companies to offer good experiences in lieu of “just” a cup of coffee—or a full dinner. It’s certainly taken awhile for Kotler’s idea to fully catch on, but it’s happening. As we know it, experiential marketing, has deep roots in decades of research. Restaurants are one industry particularly having fun with the idea of it. While other brands are adding sensory immersion to create their experiences, some brands are testing taking away normal senses to create a memorable experience. Some dining in the dark experiences have months-long waiting lists and others are kept so secretive that you feel like you’re getting into a VIP club when you finally figure out how to make a reservation. While other brands are adding sensory immersion to create their experiences, some brands are testing taking away normal senses to create a memorable experience. Completing removing one sense certainly can be part of experiential marketing. However, it must be done with precise care. Blindly forging ahead nearly begs for a serious bump or two, and you’ll want to make sure your marketing goals are reached.